Upgrade your wardrobe collection by adding this pair of pants brought to you by Allen Solly. It has been tailored with a fine quality fabric, which will keep you at ease for long hours. Moreover, it features a solid pattern that renders it fashionable. The waistband with belt loops further ensures a proper fit. Make a good impression on your peers by wearing this pair of pants, which features a solid pattern. 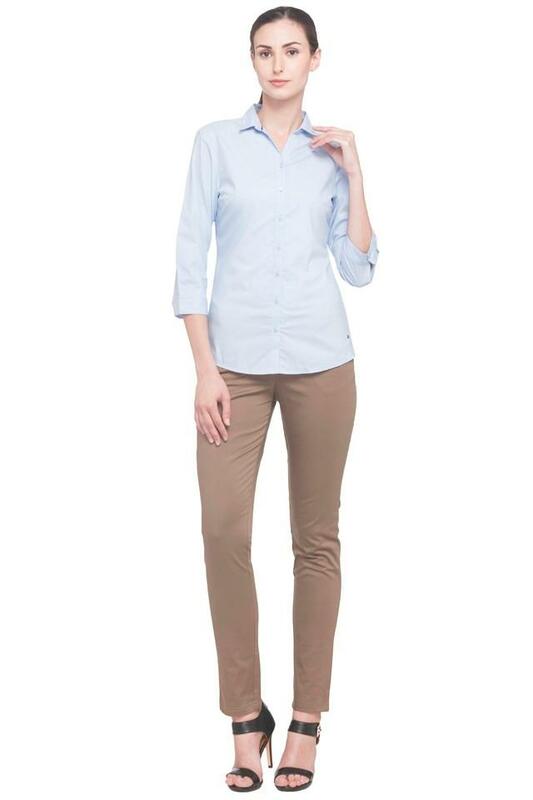 You can team it with a full sleeves shirt and a pair of heels to complete your corporate look.